PAX West (once known as PAX Prime) is no stranger to a wealth of indie games for attendees to try, these exhibitions often varying in both gameplay and booth size. One I had the pleasure of trying this year was a last minute display in the form of Stifled. Only able to appear for one day, this indie game had two simple setups: One with a sensory isolation box that you placed your head into while playing and the other using VR with a partially covered up screen. Both of these, as you’ll learn, play an important role with this unique title. 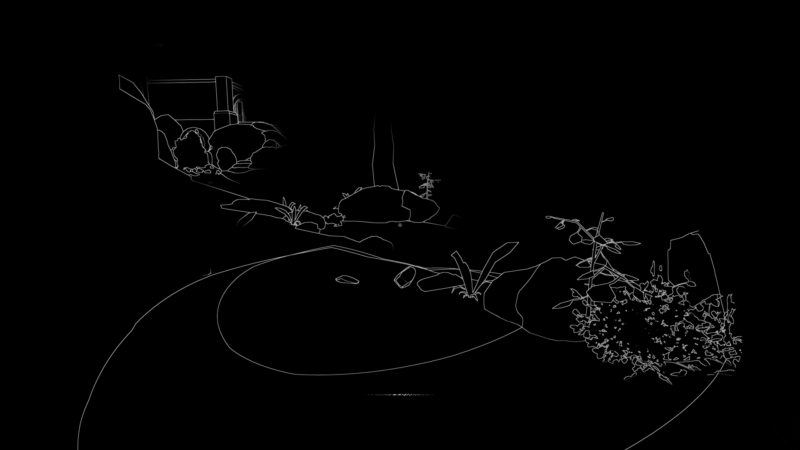 As any screenshots or video (like the one above) show, the game is played in almost complete darkness and you can just barely make out the outline of your surroundings. With sounds from a microphone (I just repeated echo ad nauseam) and faint noises in the environment, you can create a makeshift source of echo location to not only find your way around but distract some of the creepy enemies you will be facing. The technical effect is not only great looking but also adds a sense of claustrophobia as you’ll need to think about your orientation constantly. There are a few moments planned within the game where you’ll actually get standard lighting and textures from light sources, and due to that uncommonness, these scenes pop even more. At first, the idea of playing in VR with barely any constant landmarks sounds like a dizzying disaster waiting to happen, and for some users, that still might be the case. But while playing it myself, I suffered no imbalance or uneasiness despite the lack of surroundings. And while VR is supported, the game has been made for traditional PC gameplay in mind so depriving your sight from the actual world isn’t required, it just enhances the experience if you can (literally) stomach it. During my short run through a sewer environment, I ran into some Amnesia-styled puzzles that had me dodging mutant looking toddlers that are relatively blind but have super acute hearing. While the model and animations for this foe was somewhat simplistic, it nevertheless was still creepy due to the ear-wrecking squeal they emitted which is uncomfortable to listen to (in a good way for the sake of being a horror game). Stepping into water made noises that would quickly attract their attention, but you have the ability to throw small stones and other debris around to distract them for a moment. My only gripe with the demo was a technical issue that happened to be related to the demoing area itself. Since the convention hall was rather loud in general , and at random times, things would peak in volume, the game would pick up this background noise and cause my death in moments where I needed to stay quiet. While I managed to steel my nerves, the game is definitely scary in VR and I witnessed multiple players jump in surprise or leave prematurely, unable to proceed due to stress/fear. Like any VR title though, the tension will probably go down a few notches when you’re just looking at a flat monitor, but the concept still makes it stand out from the hordes of other first-person, not combative survival games. 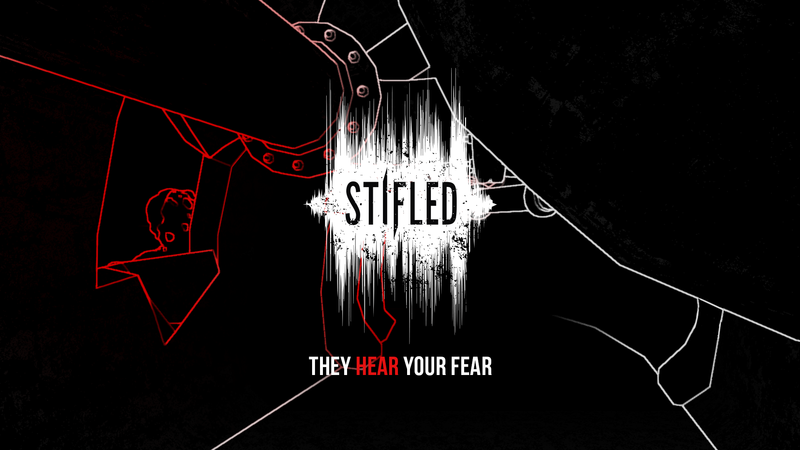 I actually believe Stifled would be perfect fodder for Youtubers/Streamers that regularly commentate over their gameplay as the act of staying silent in itself is so integral to beating it, I basically cannot wait for Let’s Plays of this game. 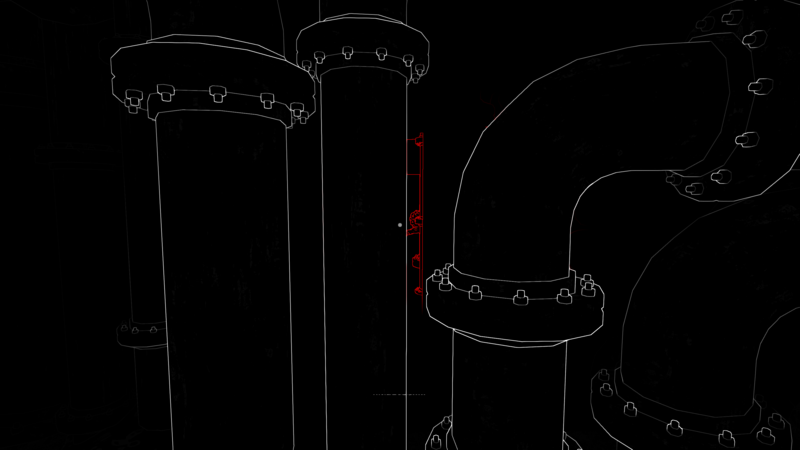 Once a school project that was expanded into a full blown release, the small team that is creating Stifled have already taken some awards from indie showcases and the game has already been approved on Steam Greenlight. They plan on making the game several hours long with multiple areas to sneak through to vary up the gameplay. Stifled plans to scare you silent later this year on PC with a PS VR release planned afterward, possibly in early 2017.